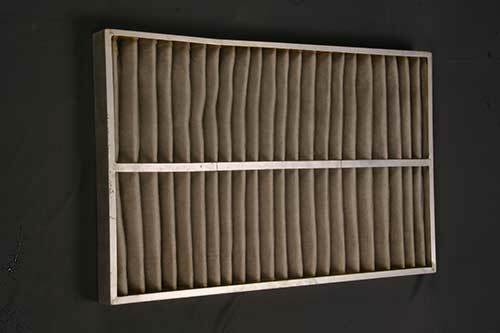 Changing the filter cages and sleeves in a timely manner is a must if you want the indoor air to be free from any sort of contaminants. A right filter working optimally can improve airflow throughout your house. Few of the common pollutants that might affect your home are pet danger, mold, dust mites, germs and viruses, auto emissions, smoke, chemical fumes, dead skin, pollen and other allergens. The easiest way to trap these airborne contaminants is by approaching a reliable manufacturer to change those filter cages when their performance deteriorates. Since there are numerous home maintenance tasks, preparing the checklist will give you the assurance that you won’t forget any of those. Include all the vital tasks in the list like cleaning the unit, changing air filters, repairing ducts and scheduling maintenance checkups which you need to complete within that year. Though preparing a checklist of all the home maintenance tasks isn’t a daunting task, what’s harder is to stick to it strictly. Schedule the tasks into a routine so that you can hold yourself accountable if you miss any of those. Though changing the filter sleeves or the regular maintenance checkups seems like minor tasks, ignoring them can complicate the minor problems and transform them into bigger issues. How frequently you should approach the manufacturer is dependent on the type of filter cage installed in your system. If you are using one with high efficiency which you need to change once every year, setting a reminder is a wise idea. The performance of the blower motor in your system might deteriorate drastically if you forget to change the filter cages when necessary. If you don’t want to end up spending your birthday with the filter cage manufacturer, don’t schedule check-ups or repair services on important dates. Though these dates are easy to remember, they should better be avoided. People also have a tendency to ignore the maintenance services if they coincide with their birthday or anniversaries. This is one of the easiest ways to remember the right time to change the filter cages. A majority of them have a cardboard edge which you can use to write down the date when you have to replace them. This will let you see the exact date whenever you pass the filter and so there are fewer chances that you will miss changing the filter. If the cardboard is missing, use a sticky note and put it somewhere where it is easily visible. These being said, it’s time you follow the tips stated above and you will definitely remember the right time to change the filter cages. Just make sure that the manufacturer you are approaching is renowned and offers optimum cages with high performance and durability. What are the Most Common Industrial uses of Cotton Filter Cloth?